I think there are some foods I just would not be happy giving up. Cheese is certainly one. Red wine. And my carbs. 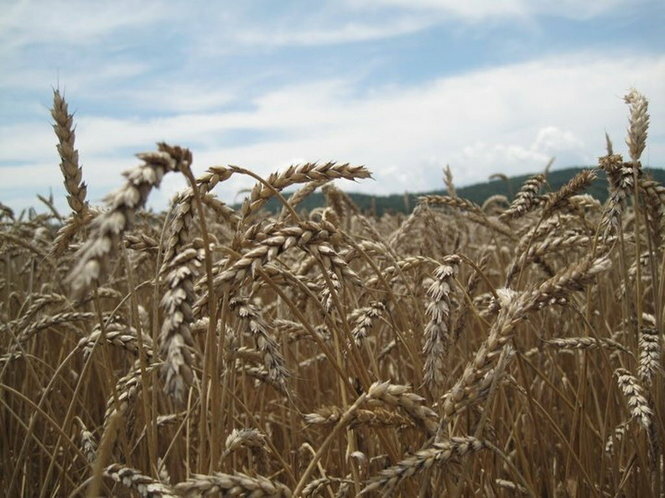 I know some people can’t eat them or won’t eat them, but I, for one, am very grateful for wheat!! 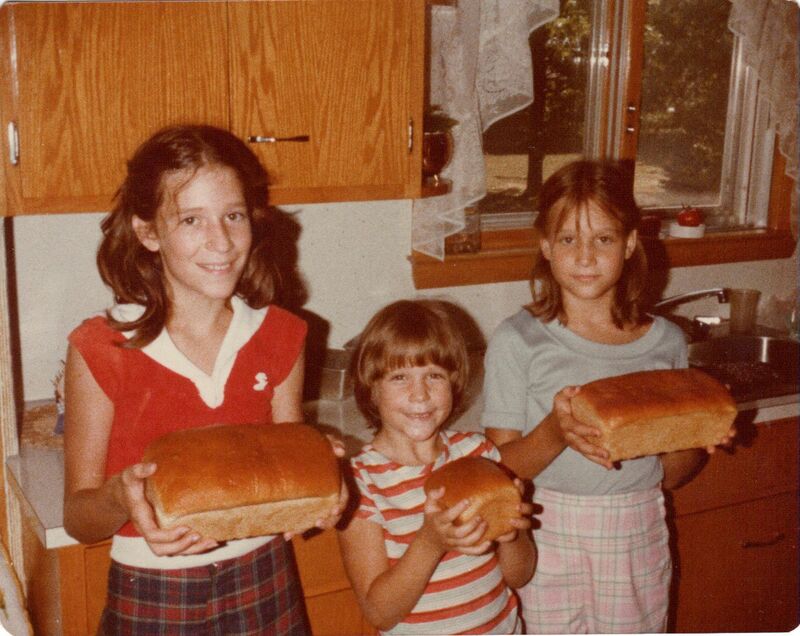 My grandmother taught me to love baking bread from scratch. My sisters and I would look forward to that activity with her every summer that we spent visiting in Minnesota. What a connection to our ancestors! No matter where yours are from, they probably baked their own bread every week. It’s a great way to connect with your past and to enjoy flavors and textures you just can’t get in the bread aisle at the grocery store. This isn’t for the faint of heart … it takes about 6 hours, but only 45 minutes of that is hands-on time, split into 3 shorter sessions. So set aside a Saturday that you’re going to be home anyway. Get your kids involved. 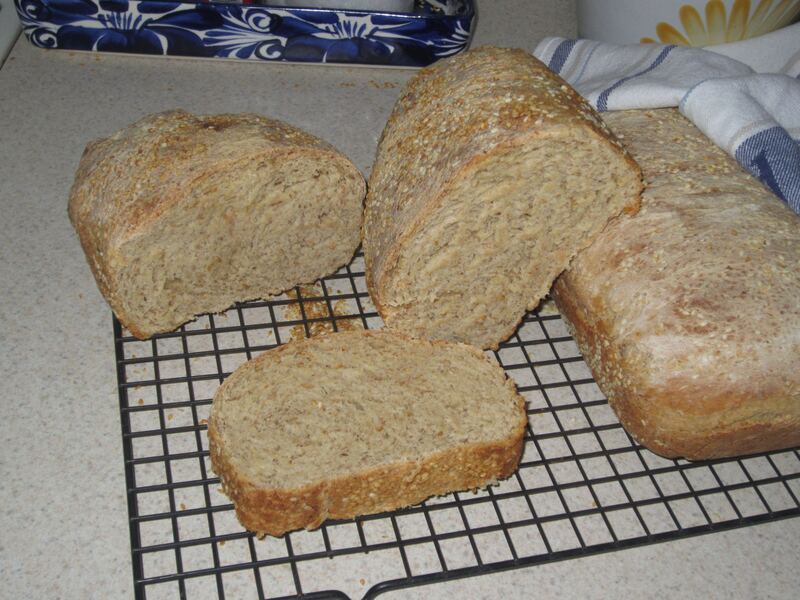 Start early enough so you can enjoy fresh bread with your supper. Yum!! This recipe originally came from Cook’s Illustrated cookbook, but I’ve tweaked it a great deal to make it my own. It makes 3 loaves. 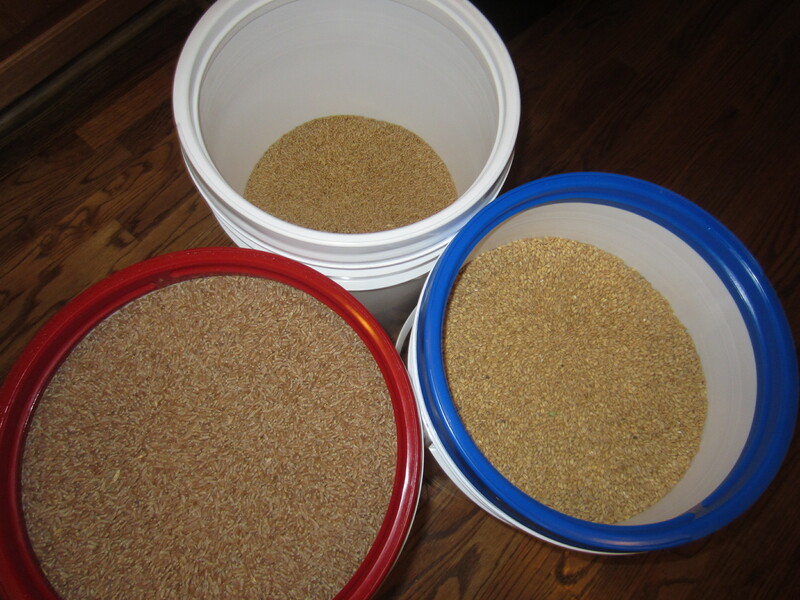 Prep work: 30 minutes – Gather your ingredients. Place cereal mix in bowl and pour boiling water over it; let stand, stirring occasionally, until mixture cools and looks like porridge, about 30 minutes. 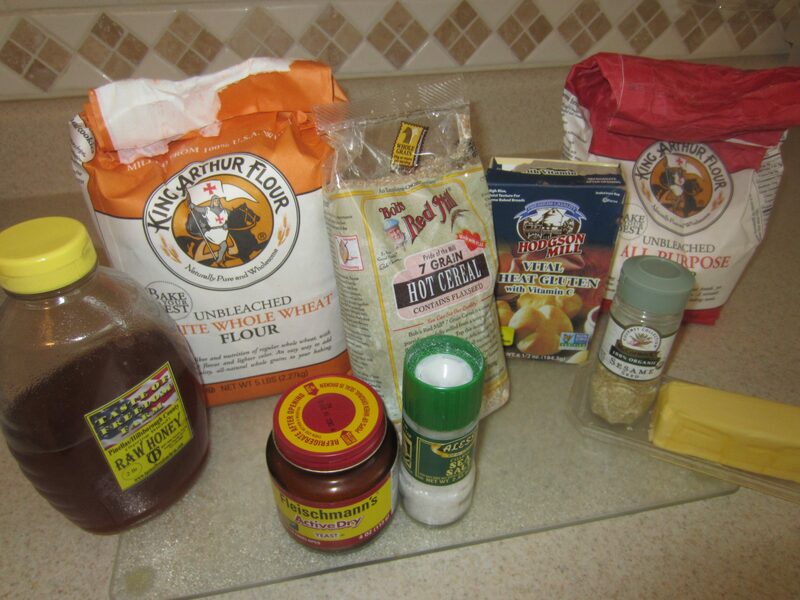 Mix ½ cup wheat flour, warm water, yeast and sugar in a bowl. Cover and let stand until cereal mix is done. 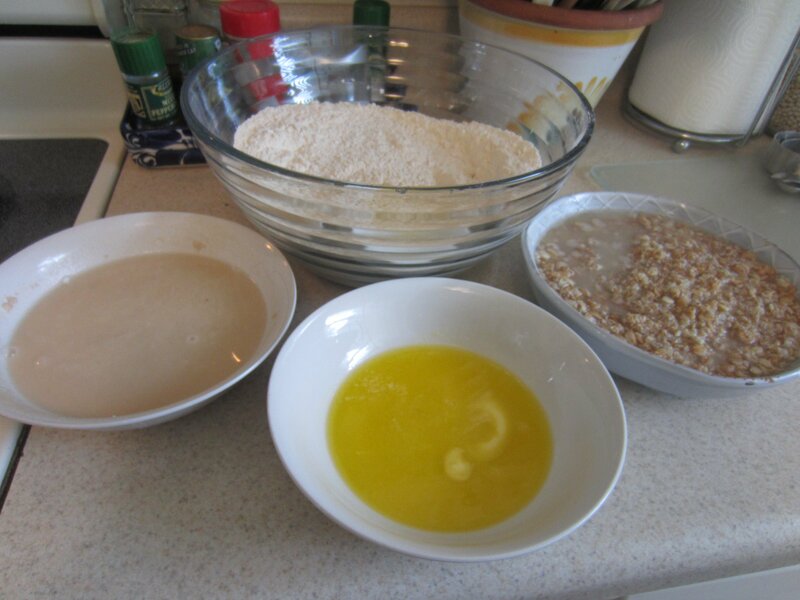 In a large bowl, whisk together 3 cups whole wheat flour, all-purpose flour, wheat gluten, wheat germ, flaxseed and salt. First rise: 45–60 minutes – Place dough in a large, lightly greased bowl; cover with a clean kitchen towel and let rise at room temperature until nearly doubled in size, 45 to 60 minutes. 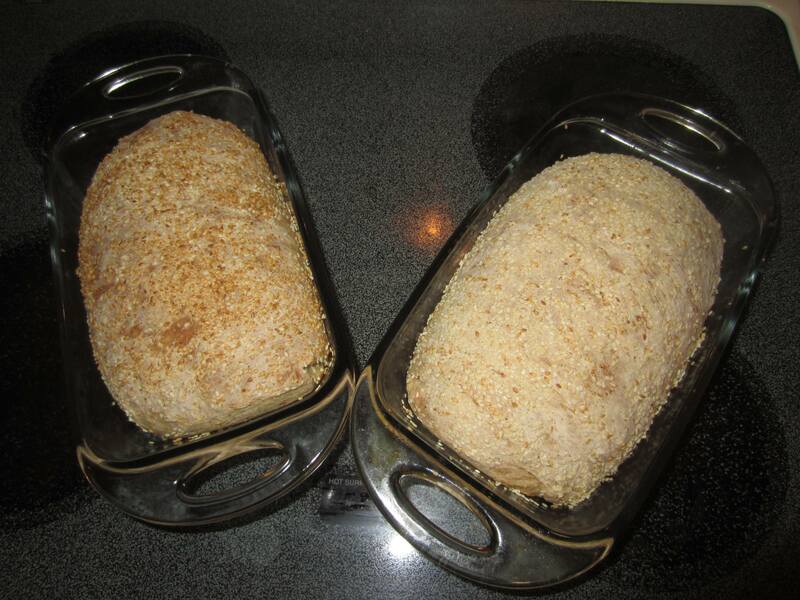 Dough into pans: 10 minutes Grease three 9×5 inch loaf pans. Transfer dough to lightly floured counter and divide into thirds. Press each piece of dough into 9×6″ rectangle, short side facing you. Roll toward you into a firm cylinder, keeping it taut by tucking it under itself. Turn loaf seam side up and pinch closed. Place seam side down in pans, pressing gently into corners. Second rise: 30–45 minutes – Cover loaves in pans loosely with towel and let rise at room temperature until nearly doubled in size, 30 to 45 minutes. 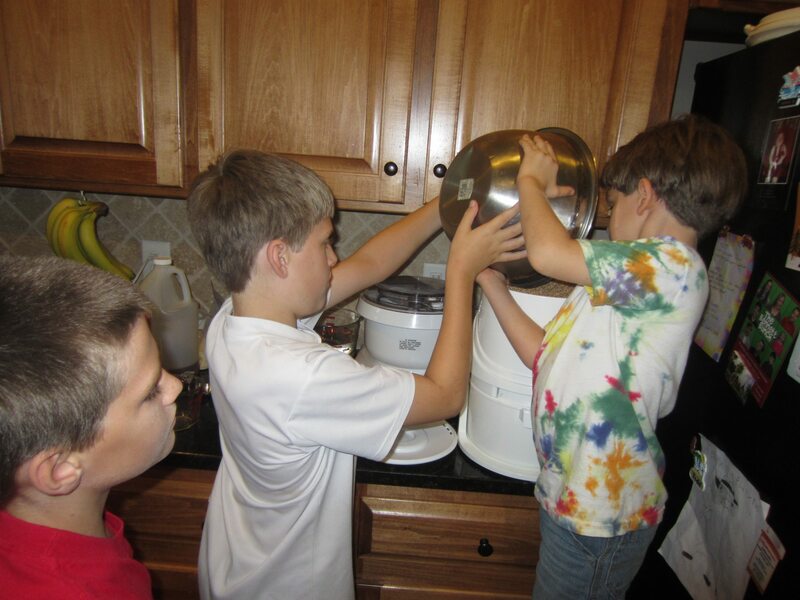 Bake: 40–45 minutes – Preheat oven to 375º. 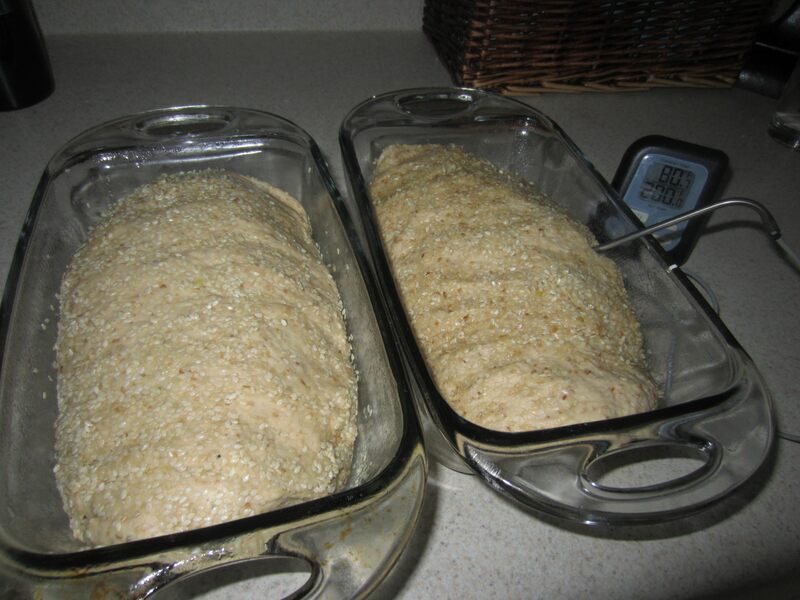 Using thermometer, bake until loaves are 200º, 40 to 45 minutes. Transfer pans to wire rack and let cool for 5 minutes. Remove loaves from pans, return to rack, and let cool to room temperature for 30 minutes to an hour before slicing.